In the summer of 1928, Al Jolson was in his early forties, was the toast of Broadway, and had found great success while starring in the first full-length Hollywood talkie "The Jazz Singer." He was to begin work right away on a second film for Warner Bros. called "The Singing Fool." The success and fame that Jolson found, however, did not prevent him from experiencing loneliness in his life outside of show business. He had already had been married twice, with both marriages ending in divorce. The story of how Al Jolson first met Ruby and their courtship, and the stories of their turbulent marriage, has been told in different ways. 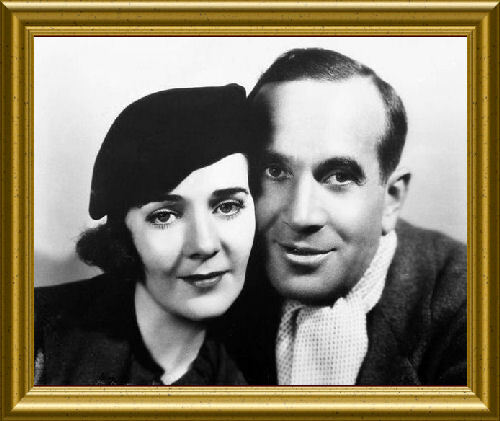 What can be said with certainty is that they were married for eleven years, adopted a child named Al Jolson Jr. (though Al called him "Sonny Boy"), and had a tumultuous relationship during their marriage that eventually lead to divorce. While married, they both appeared together on the silver screen once, in the film "Go Into Your Dance."